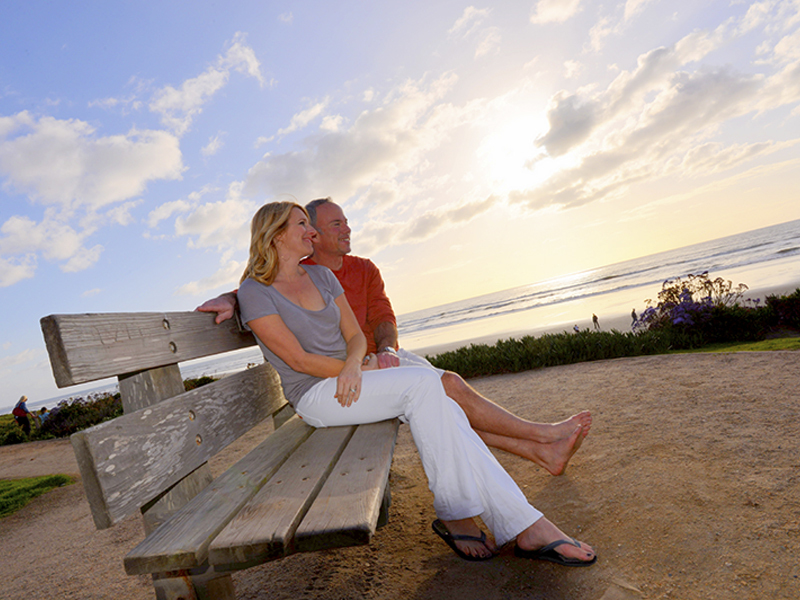 The Village of Del Mar, California is a charming seaside hideaway 20 minutes north of downtown San Diego. Edged by two miles of stunning Pacific coastline, this laid-back coastal village is loved for its beautiful beaches, historic downtown village, legendary thoroughbred racetrack and exciting attractions and events, including the Birch Aquarium and San Diego County Fair. Stroll down to village shops, galleries, restaurants and Cafés and the weekend Farmers Market. Surf the legendary Del Mar waves and soak up rays on the sunny beach. 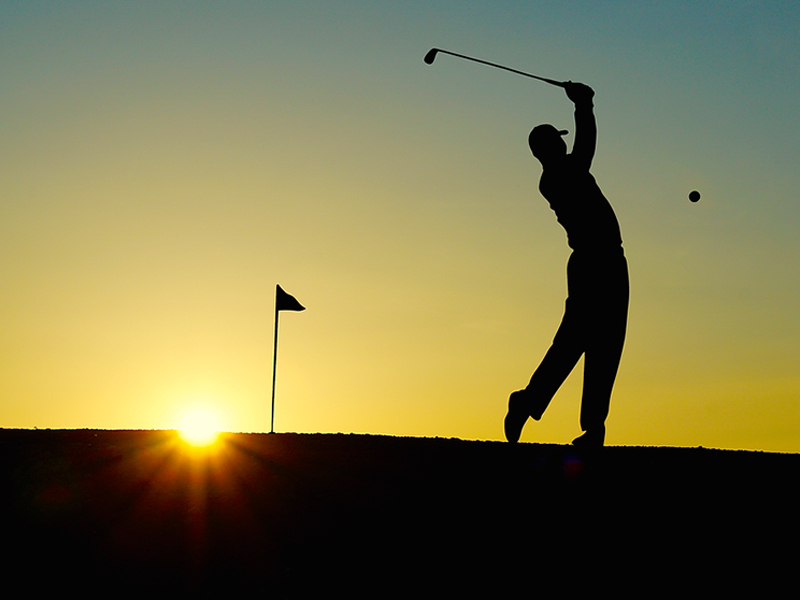 Explore Torrey Pines State Reserve or tee off on the elite fairways of Torrey Pines Golf Course. Drive down the San Diego coast to Old Town San Diego, SeaWorld San Diego, San Diego Zoo, San Diego Wild Animal Park, and Mission Bay Park. Mexico is 30 minutes away for some border adventure! "Play and enjoy all the cool things to do in Del Mar from beach bumming to shopping." Blessed with two miles of beautiful coastline and the never-ending waves of the Pacific Ocean, Del Mar is a laid-back beach destination for beach lovers and surfers seeking the legendary Southern California surf. Just north of San Diego, Del Mar Beach is a relaxed surf haven with diverse waves, year-round swells, awesome beach and reef breaks and a fun-loving vibe. 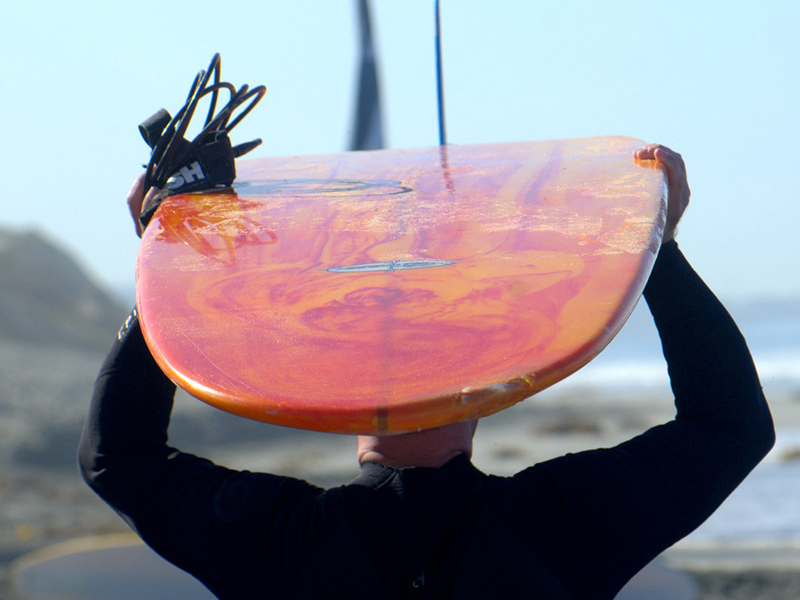 Del Mar Beach Surfing - Del Mar Beach is surfing heaven in Southern California. At the southern end of the beach, the rocky reef has excellent waves, breaks and swells. The heart of Del Mar Beach offers a tricky beach break with playful currents, tides, and swells. The northern beach offers a unique wave area, where the San Dieguito River meets the Pacific Ocean, offering an exciting Del Mar surf adventure when the river is flowing. 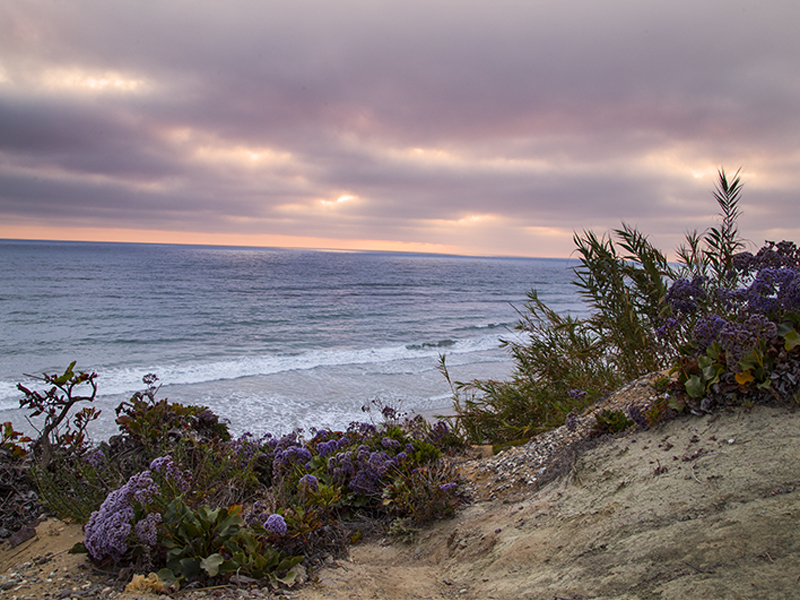 One of the wildest and most beautiful landscapes on the Southern California coast, Torrey Pines State Natural Reserve is a natural escape on the San Diego coastline. Explore miles of unspoiled beaches, lagoons and over 8 miles of peaceful trails for walking, running and hiking. Discover a breathtaking coastline of sandstone cliffs, white sand beaches, dunes, lagoons, salt marshes, woodlands, ravines and woodlands.Discover a spectacular eco-system of rare Torrey pine, plants, wildflowers, wildlife and shorebirds. Torrey Pines lures travelers and nature lovers from all over the world with its stunning overlooks, rugged trails, and beautiful environment. 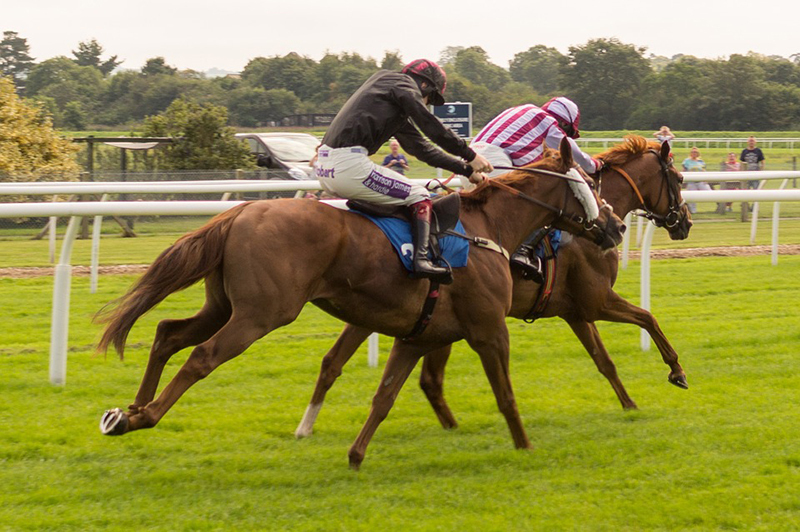 Experience the thrill of live thoroughbred racing at the world-famous Del Mar Thoroughbred Club, where "the turf meets the surf" - in beautiful Del Mar, California. Located at the Del Mar Fairgrounds, the Del Mar Racetrack is a legendary landmark that has attracted millions of horseracing fans and celebrities for 75 years - since Big Crosby greeted the first fan at the gate in 1937. Feel the thunder of the world's top thoroughbred horses race the mile-long oval racetrack by the sea in Del Mar. 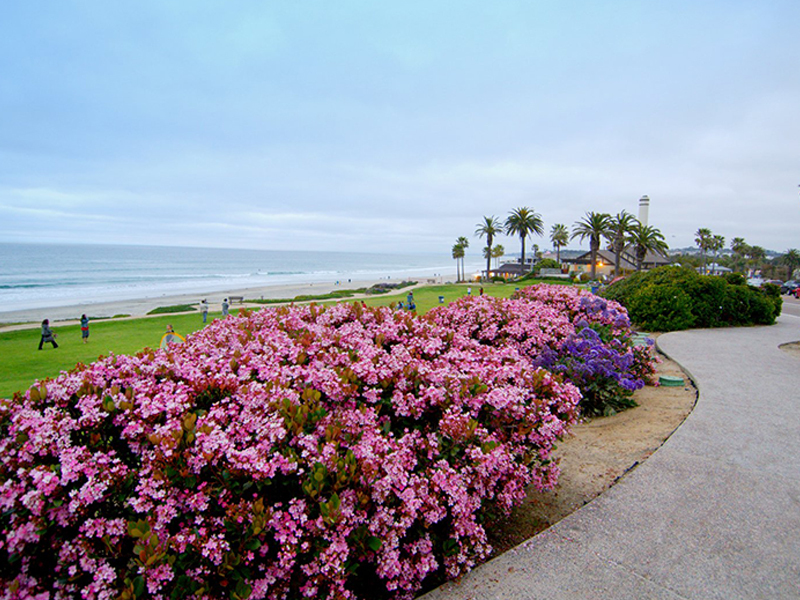 Embrace the beautiful coastal scenery at the Del Mar Inn Hotel, a peaceful escape with ocean views and warm hospitality. Relax and embrace the beautiful coast of California at the Del Mar Inn Hotel. 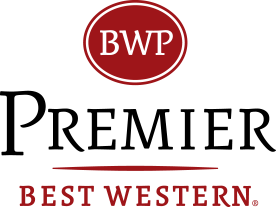 Steps from the ocean and golden sands, our charming Del Mar beach hotel is a peaceful escape for a family vacation, a romantic getaway or a business retreat.